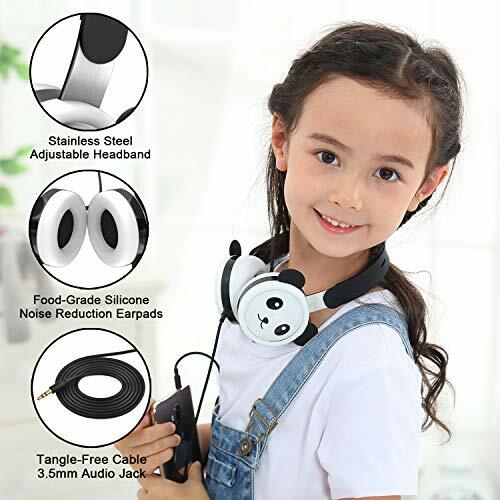 🐼 VOLUME LIMITED FOR HEARING PROTECTION: Protects young ears with built-in volume-limiting circuitry that keeps the sound pressure to 85db. 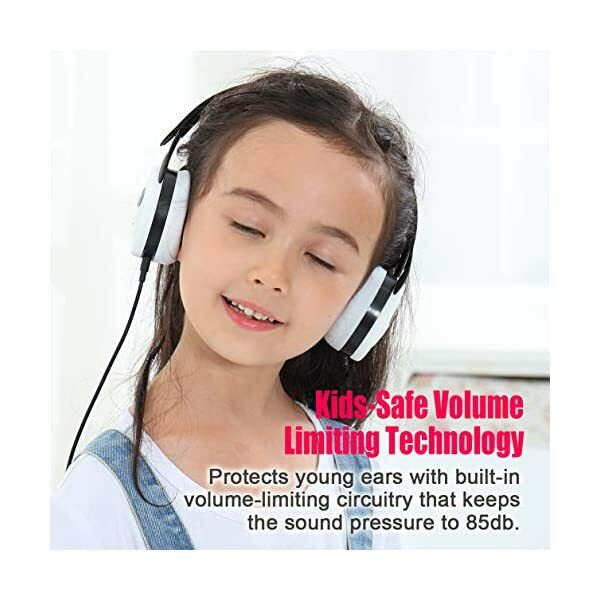 Suitable for children and youth teens. 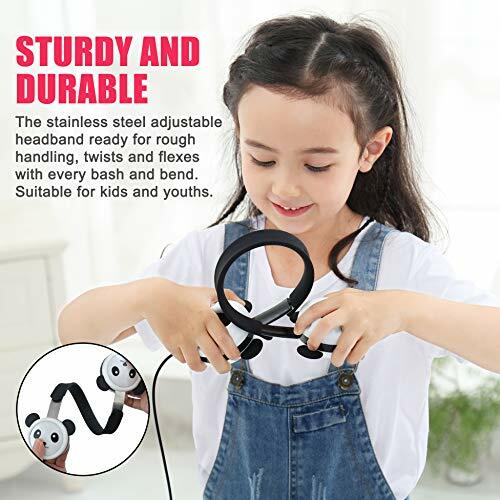 🐼 DURABLE & COMFORTABLE: Designed with stainless steel adjustable headband, twistable, bendable, stretchable to withstand children’s rough play for a longer life span. 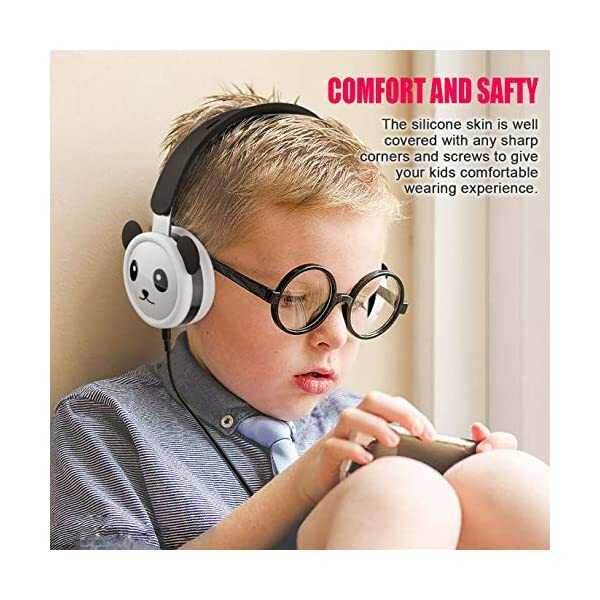 Ultra-soft silicone ear cushions effectively reduce external noise and comfortable to wear for a long time. 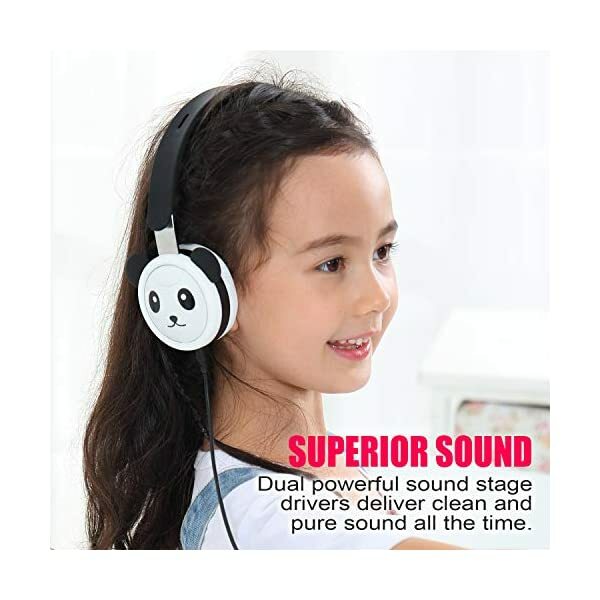 🐼 SUPERIOR SOUND & SAFETY MATERIAL: Dual powerful sound stage drivers deliver clean and pure sound all the time. 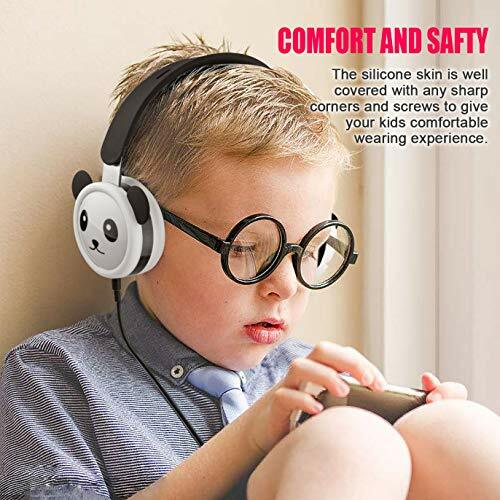 The food grade silicone skin covers all the screws and sharp corners to keep your child safe to use. 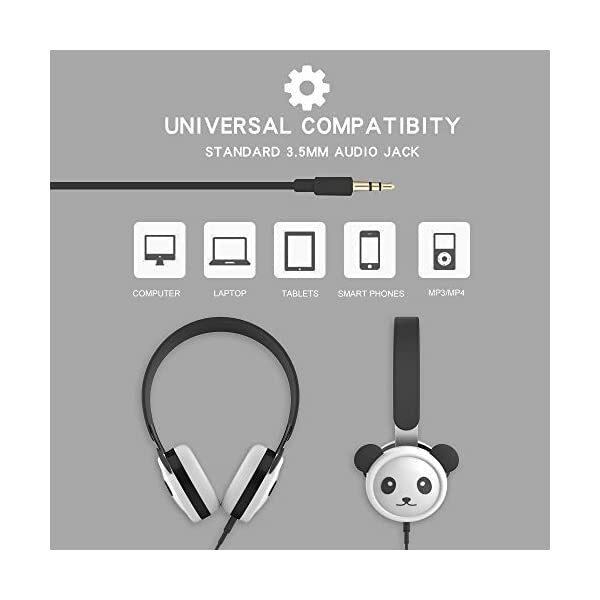 🐼 UNIVERSAL COMPATIBILITY: High quality flexible cable avoid the hassle of tangle. 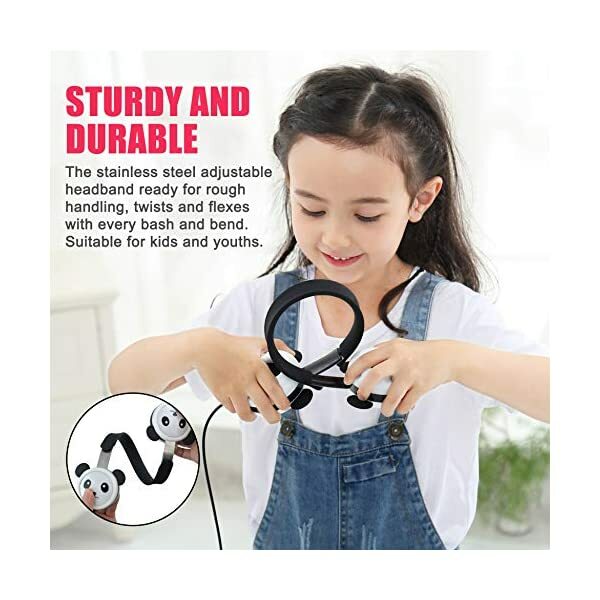 Durable enough to withstand heavy usage. 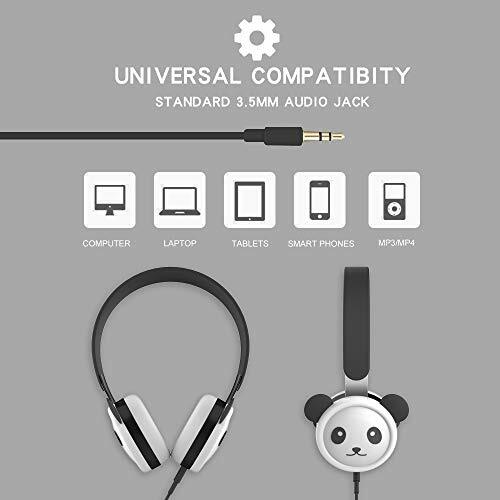 Standard 3.5mm audio jack is suitable for entertaining or studying. 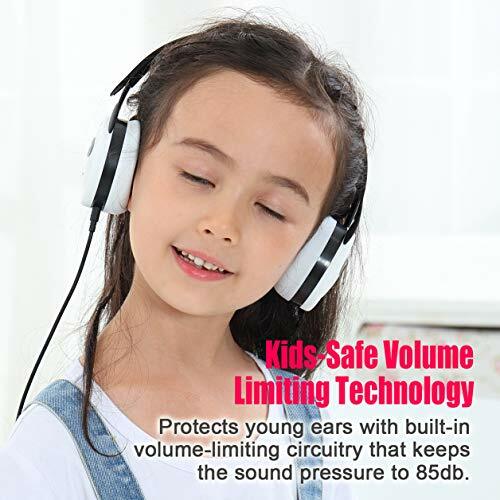 It works with virtually all smartphones, tablets and more. 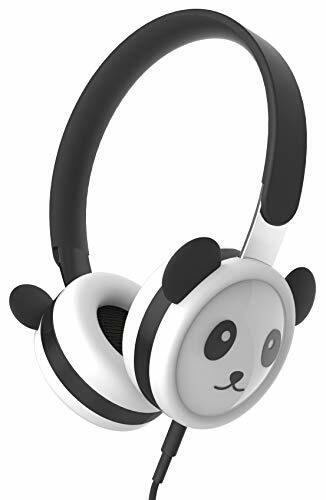 🐼 QUALITY GUARANTEE: Exclusive patented design, truly safe, comfortable and durable, Limited lifetime warranty. 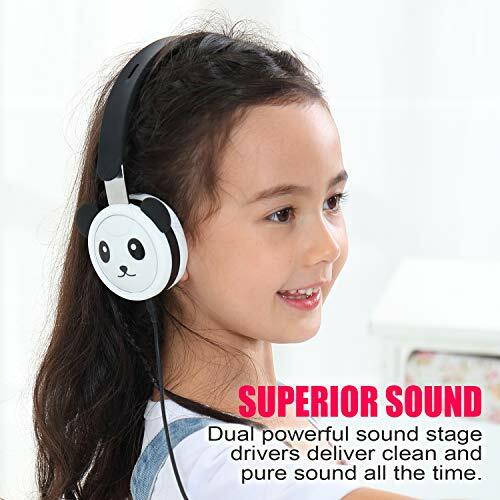 100% satisfaction guarantee coverage for anything that happens to your headphones. 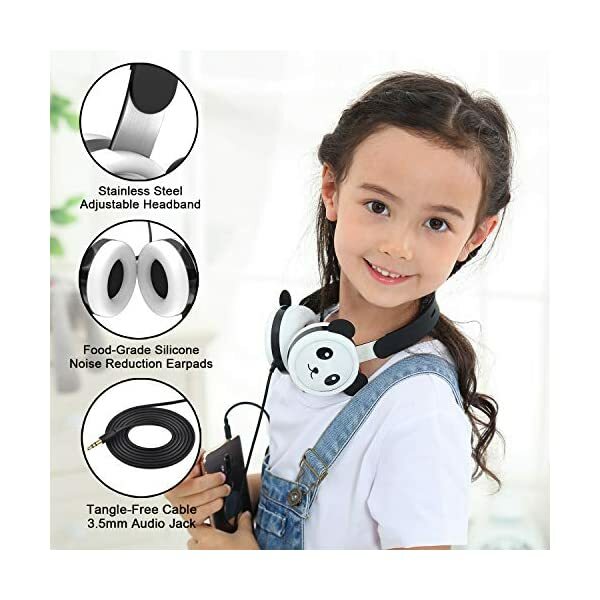 Just contact us and we’ll replace it for free.